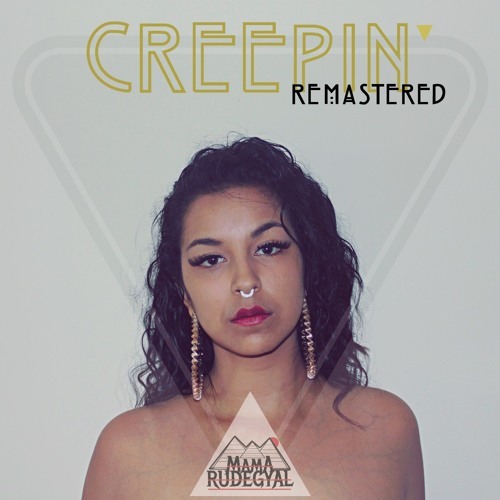 MamaRudeGyal MTHC is a young female hip hop artist representing many demographics across the nation. As a Multi Ethnic young mother she strives to inspire people from all walks of life, just as she's been inspired by people from all walks of life. Many of MRG's Future goals surround the betterment of the common man, for the good of our collective futures, She uses her music to give her voice strength enough to make a change in the personal lives of some, and if its meant to be, society and the world. While MamaRudeGyal MTHC's Most important musical Influences are Jimi Hendrix, Esthero, No Doubt, Erykah Badu, Aaliyah, Selena, Missy Elliot, Wu Tang Clan, M.I.A., Alt - J, Band Of Horses, Radiohead, Yeah Yeah Yeahs, Portishead, Quasimoto and more; She always draws upon her vast library of influences when in comes to creating music. MRG has never been a person who subscribes to a specific genre, or set thereof; opting instead for a wealth of variety. Being the former bassist and lead vocalist of a mid-pubescent heavy metal band, many of her early influences were the likes of Jimi Hendrix, Pantera, Slipknot, Slayer, Rage Against the Machine, Anti-Flag, Megadeth, Metallica, System of a Down, Barn Burner and really anything containing many Audibly pleasurable layers of technicality blended perfectly with the beautiful freedom of the creation of art, no matter the genre or demographic. That being said, due largely in part to her Multi Ethnic background, many of her influences are so varied that some are even polar to each other. She's been surrounded by World Music from all over since her early childhood, like Gypsy Kings, Early Shakira and the beautiful Buena Vista Social Club, various african music and Brazilian Folk, Pow Wow Music, Flamenco, Dancehall, Soca ect. She grew up listening to Bob Marley, Jay - Z, Marilyn Manson, Limp Bizkit, Korn, The Cranberries, Busta Rhymes, and when influenced by her older sister began listening to Nouvelle Vague, Metric, The Knife, Crystal Castles, Air, Broken Social Scene, Tom Waits, Ok Go, Mum, Interpol, ect. Other influences worth mentioning are K-OS, KRS-One, Angel Haze, Slum Village, A Tribe Called Quest, Major Lazor, Schoolboy Q, Die Antwoord, Status Krew, The Weeknd, Popcaan, MF Doom, Job for a Cowboy, The Black Dhalia Murder.... I COULD GO ON ALL YEAR MY FRIENDS.